What Illnesses and Symptoms Does Mold Exposure Cause? Early life mold exposure may cause asthma in otherwise healthy children, especially for those who are genetically predisposed to asthma, though more research is needed. If you become sick on the job due to mold in the workplace, you have the right to hire an attorney and seek workers’ compensation benefits. These benefits will pay for your medical bills and compensate you for part of your paycheck while you recover. 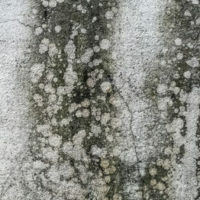 While there are no federal standards or recommendations for airborne concentrations of mold spores in the workplace, when an employee begins to suffer from mold spores, the employer is responsible for taking reasonable steps to remedy the problem, according to the Occupational Safety and Health Administration (OSHA). If the employer takes actions to cover up a health problem concerning mold, a whistleblower lawsuit may be filed. Or, if the employer retaliates by taking negative actions against an employee that complained of the mold problem, a workers’ compensation retaliation discrimination lawsuit may be filed. Mold cases are difficult to prove in a workers’ compensation case because the Claimant must show the quantum of spores he/she was exposed to and the type of mold. However, such a stringent requirement of proof is not required in a personal injury case, which may be the better vehicle for prosecuting a mold case. You may be able to file a lawsuit against your landlord if you become sick from mold exposure due to their negligent actions (or inactions). A personal injury suit in California that settled for a total of $3.8 million, including attorney fees, was the largest ever for toxic mold-related lawsuits, according to the Insurance Journal. A family of three sued their apartment complex after the couple and their eight-year-old son began to suffer from respiratory illness. The apartment complex had failed to take reasonable action to solve the mold problem in the years leading up to the lawsuit. If you or your family members have become sick due to mold exposure, either on the job or at home, do not hesitate to contact a West Palm Beach attorney today with the law offices of Celeste Law Firm today. We can begin working on your case immediately.